The code for this repository is hosted on my github, v1k45/ponynote. You can checkout branch part-4 to see all the changes done till the end of this part. We need to create APIs for basic authentication actions like registration, user endpoint, login and logout. Django Rest Framework allows various kinds of authentication techniques including BasicAuth, SessionAuth and TokenAuth. For single page applications, Token Authentication and variations like JSON Web Tokens (JWT) are quite common choices. DRF ships with a built-in TokenAuthentication feature but it is not ideal for user facing SPAs because it lacks basic features. Instead, we will use django-rest-knox. It is similar to DRF's TokenAuth but much better and robust. Update ponynote/settings.py by adding knox and rest_framework to INSTALLED_APPS and setting knox's TokenAuthentication class as default in DRF. 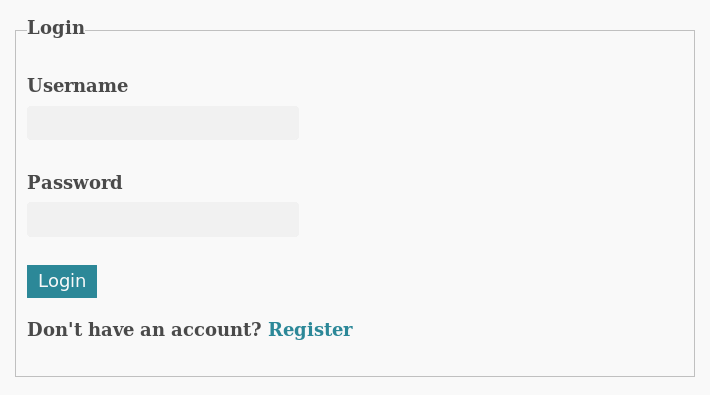 To allow users to create accounts, we will create an API for registration. Ideally you'd use feature-rich third party applications like allauth, rest-auth, djoser etc to handle all kinds of authentication related needs. But since our application is simple, we are better off with our own views/endpoints. We'll use CreateUserSerializer for validating input for registration. We aren't using email, users will login with username and password. UserSerializer will be used to return the output after the user has successfully registered. The API is pretty staight-forward, we validate the user input and create an account if the validation passes. In the response, we return the user object in serialized format and an authentication token which will be used by the application to perform user-specific api calls. It handles validation cases for fields, including uniquness of username. If you try to send the same data twice, you'll see that the API throws an error that the username needs to be unique. Now that users can create accounts, we need a way for our users to log into the application and retrieve the authentication token for user-related actions. The validate method of this serializer checks if the username and password are a correct combination using django's authenticate function. It also makes sure the user is active. Now that the login and registration API are working, we need an API to return user data of the logged in user. We will use this API to determine if the user is logged in and retrieve their token for performing user specific api calls. Since we already have a UserSerializer, we can create UserAPI right-away and add it to endpoints. The above API will return user data for the authenticated user or 4XX range errors if the user is not authenticated or the token is incorrect. The above request will return the user object of the authenticated user. Now that all authentication related APIs are working, we can update NoteViewSet and NoteSerializer to restict access to authenticated users only. Changed the API access from AllowAny to IsAuthenticated. This will require users to login/send authentication token in order to use this API. Override perform_create method to save the note owner when creating the note. Replace queryset attribute with get_queryset method and return the notes which the authenticated user owns. This will make sure the notes api is only accessible to authenticated users and the users get to see and modify their own notes only. 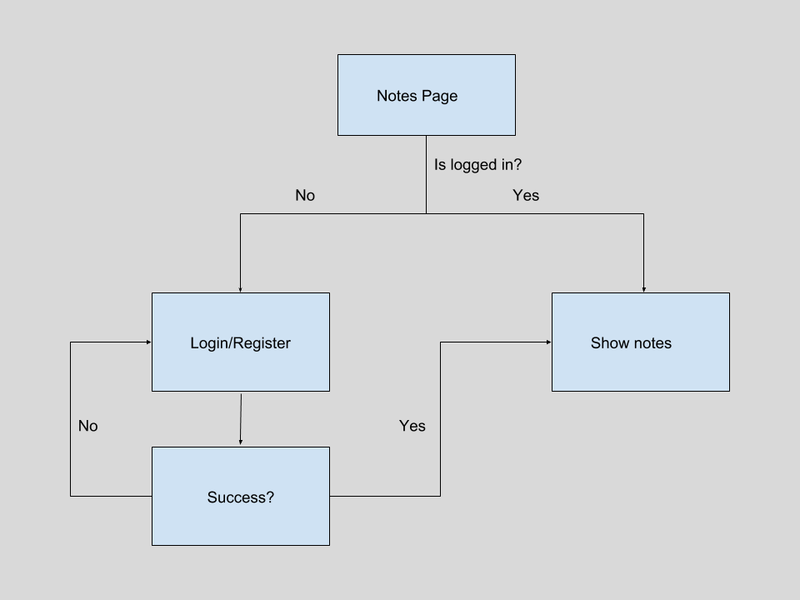 Authentication flow in the react application will be pretty simple, we'll redirect the user to the login page if they are not logged in and then redirect back to the notes page after login is successful. To make the non-functional login page functional and restrict access on the notes page to only authenticated users, we'll need to add some actions and an authentication reducer. Noticed the token value is being retrieved from localStorage? We'll store the authentication token in localStorage and then load it into the auth reducer on initial load. This will help us retain the user authentication state even if the user closes the browser window. We are handling user loading and login actions. If a login is successful, the reducer will update the localStorage and redux token. If login fails, user logs out or the application throws authentication related errors, the reducer will remove the auth token, store errors and set the login state accordingly. In the above action, we are sending an Authorization header with the token stored in redux store. If this token exists and is correct, the API will return the user object, otherwise, we'll dispatch AUTHENTICATION_ERROR action. In order to stop unauthenticated users from accessing "private" routes we must redirect them to the login page. To achieve this, we will create a PrivateRoute method which only renders the target component if the user is authenticated. In the above code, we moved the contents under Provider to a separate component named RootContainerComponent. The RootContainerComponent, as it's name suggests, is the root container of the application and is connected to redux store. It has a PrivateRoute method which changes the component to be rendered when a route matches depending on the authentication state of the application. If the user is not logged in, it redirects the page to /login. The RootContainer is then used inside App component and is placed inside Provider component. After this, if you go to the notes page (localhost:8000), you'll be redirected to the login page. While this protects unauthorized access of the notes page, we still don't have the login feature implemented to allow authenticated users to access the page. After this you should be able to login from the login page and be taken to the notes page if the credentials are correct. Until now we used the registraton API directly to create users. Since we have all actions and reducers in place, we can create a registration page too. As you can see, the component is pretty similar to Login.jsx only notable difference being the register function/action instead of login and some other text. Update the cases to include REGISTRATION_SUCCESSFUL and REGISTRATION_FAILED action types. Now you'd be able to register by going to localhost:8000/register. You'll also see errors on the page if you try to register using an existing username. While the login page works and the notes page is displayed after login, the core functionality of the notes page is still non-functional. This is because the notes API now requires the user to be logged in to be able to use it. The above code makes sure that authorization token is sent with all note related API calls, relevant actions are dispatched depending upon the type of response we receive. After this you should be able to manage notes as a user. Now you'll be able to create, read, update and delete notes privately using user accounts. 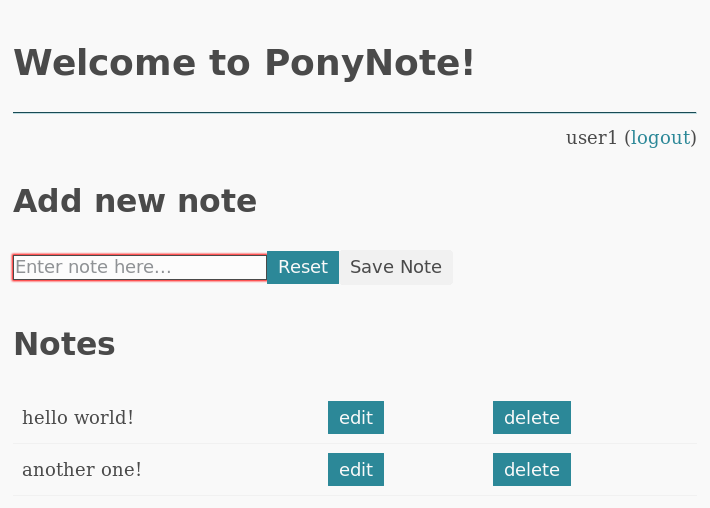 The notes pages will be protected by a login page and anyone would be able to register and start managing their notes. I'm not sure what I should post for the next part. I am thinking of either server-side rendering (SSR) of the react application or deployment procedure of the application as a final post.